Stay tuned to this space for an announcement about the exciting presentation we have planned! Calling all Clojure hackers! Time for another Cap-Clug Clojure Open Source Hack Night at Whiteboard Federal. What is a hack night, you ask? Simple. Just bring a laptop, some project(s), your brain, and spend some time working in the company of other DC region Clojure fans (actually as Seth points out "laptops are encouraged, but braincells are absolutely required."). There is no agenda, except that we’ll have some time at the beginning for folks to talk about what they’re working on, ask for help, and offer assistance. We'll break into pairs, or larger groups, or whatever seems natural - and we'll see how much we can accomplish in an evening. Pizza and sodas will be provided by Whiteboard. Call Bruce's cell if you have trouble getting into the building. 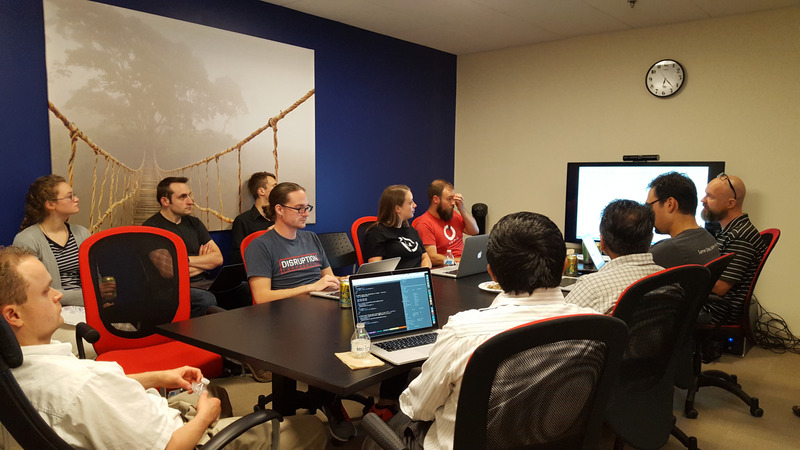 The purpose of this group is to bring together Clojure users in the Northern Virginia and DC metro areas. We&#39;re low key, well rounded, and huge fans of Clojure and all reasonable programming languages. Are you organizing Clojure code & chat? Are you an organizer of Clojure code & chat ?